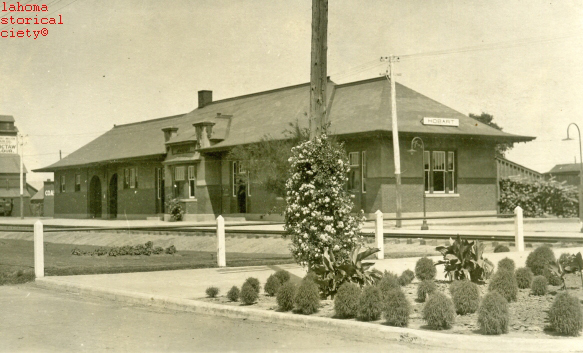 (20870, Oklahoma Historical Society Photograph Collection, OHS). (23254.1, Barbara Cox Collection, OHS). (21500.104.1, Griffith Amusement Company Collection, OHS). The Kiowa County seat, Hobart is situated on State Highway 9 two miles west of U.S. Highway 183. Located 120 miles southwest of Oklahoma City and sixty-five miles northwest of Lawton, Hobart is served by the St. Louis and San Francisco (Frisco) Railway, which runs north-south along the town's eastern limits. The town was named in honor of Garrett A. Hobart, a vice president of the United States (1897–99). On August 1, 1901, the present Hobart townsite was secluded prairie. The next morning a throng of people, many of whom had traveled from across the nation, occupied the area. They were there for land. Most had no money but hoped to build homes and businesses on the former Kiowa-Comanche-Apache Reservation. Thirteen thousand people, living in tents, gathered for the land lottery. After the lot sale began on August 6, 1901, Hobart became the residence of 2,530 individuals. Hobart businesses began in tents, then transferred to wood-frame structures as they were built. Among the first frame buildings was a courthouse for the county government. Cowboys, gamblers, ministers, and entrepreneurs all mingled in "Ragtown," as Hobart was then nicknamed. The town's first crops included corn, but farmers soon found the climate suitable for cotton. 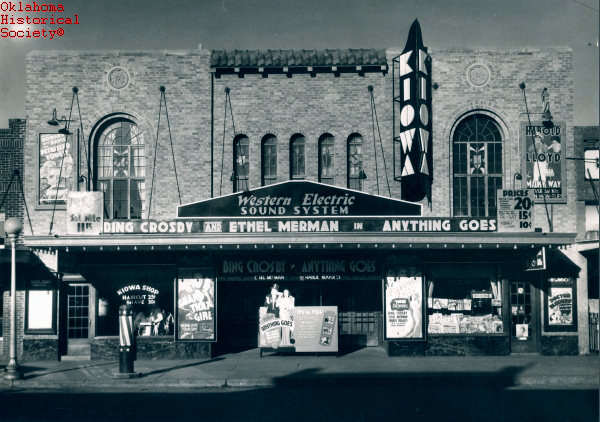 By 1903 Hobart had electric lights, an ice plant, and some of the Southwest's largest wholesale businesses. There was a flour mill and several department stores. The Dan Miller and Son cotton oil mill developed into one of the region's major mills. Other establishments included two cotton gins, lumber and coal yards, hardware stores, hotels and restaurants, laundries, lawyers, doctors, fraternal orders, four national banks, a public library, a telephone exchange, livery and feed stables, wagonyards, and furniture stores. Hobart had several early newspapers, including the Hobart Daily Chief, the Hobart Republican, and the Hobart Democrat-Chief, which remained in publication at the end of the twentieth century. 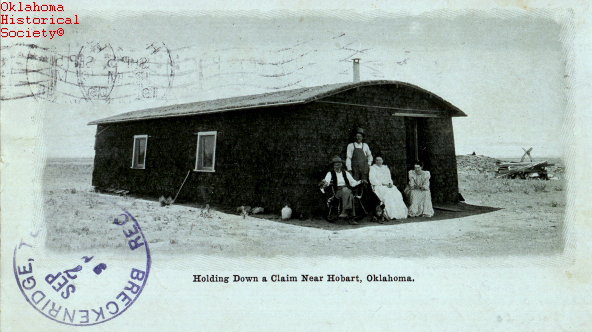 Hobart's population was 3,136 at Oklahoma 1907 statehood. After declining to 2,936 in 1920, the number of residents rose to 4,982 in 1930 and to a high of 5,380 in 1950. Dropping to 5,132 in 1960 and to 4,735 in 1980, by 2000 the population count had fallen to 3, 997 and by 2010 to 3,756 The Downtown Historic District (NR 05000130) is listed in the National Register of Historic Places, as are the Kiowa County Courthouse (NR 84003094), the Rock Island Depot (NR 95001418), the Hobart City Hall (NR 78002240), and the Hobart Public Library (NR 80003267). At the beginning of the twenty-first century Hobart was a quiet farming and ranching community. The area's major products were cotton, wheat, and cattle. The number of businesses had declined, but the public schools remained active. The educational, health, and social services industries provided the largest percentage of employment circa 2000. Donice Clay, "Hobart," in Pioneering in Kiowa County, Vol. 1 (Hobart, Okla.: Kiowa County Historical Society, 1975). Hobart (Oklahoma) Democrat-Chief, 4 August 1925. "Hobart," Vertical File, Research Division, Oklahoma Historical Society, Oklahoma City. Ethel Crisp Taylor, "Hobart," The Encyclopedia of Oklahoma History and Culture, https://www.okhistory.org/publications/enc/entry.php?entry=HO001.